Recently, a 20-year-old apartment maintenance worker confessed to killing a child who resided at the same Canton, Georgia complex. Now, the child’s mother has filed a lawsuit against the apartment managers, claiming they did not do all they could have to prevent the crime. According to a news report, the allegations center around whether the landlord performed a proper criminal background check. The case highlights the need to obtain screening reports not just on tenants, but on employees as well. The managers maintain that they always perform a criminal background check on every resident and every employee, a policy which will greatly aid their defense because this landlord likely will need to prove that they met the standard of the industry as it applies to obtaining criminal background checks. The mother also is claiming that the landlord should have intervened after other tenants complained that the employee appeared to be watching children on the playground. Early into the investigation, officials said that the man did not appear to have a prior criminal record. After consenting to an interview, the man admitted that he had molested other children in the past, although there was no indication that he was ever implicated in those cases. The man committed suicide while in prison, shortly after providing the interview. 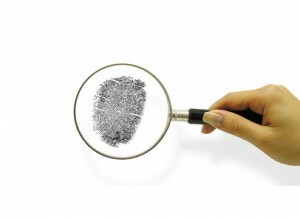 I have used your services to run full credit, tenant background checks and criminal background checks for several years. I am concerned as this article is misleading. Your service does not pull all federal backgrounds or persons with federal criminal history. I just had a case where a tenant passed your background tests and has a criminal history. The tenant went back to his old ways and has cheated several neighbors out of a lot of money. My landord client was asking why the previous crimes committed did not show up on the report. The landlord would have not approved the tenant had they have known. I posed this question to you last week. You said that you would call back yesterday with an answer. I have not heard a response yet. You are leaving the agents exposed if the reports do not contain all current info. Thanks for your email Richard and I hope that each TVS member reads this and pays attention. Your concern…TVS service does not pull all federal backgrounds or persons with criminal histories. That is a correct statement. TVS obtains its criminal record and eviction information from Lexis Nexis, they in turn obtain their information electronically from the various court houses and related databases that supply such information from throughout the Country. Unfortunately not every court house in the USA provides electronic information. This is unfortunate but it is a fact, and many landlords assume that criminal record information covers every State and County and Federal database. That does not exist to my knowledge. Most tenant screening companies like TVS provide the same/similar information. Lexis Nexis in my opinion is the most thorough and that is why we use them. Every TVS/ATS member that signs up is provided a link to the TV Operating Instructions in the Welcome letter. The first paragraph states…” The electronic reports obtained via TVS should be used in conjunction with other due diligence which should be conducted on a Prospective Tenant. All databases whether on the internet or not, are neither 100% accurate, nor are they 100% complete. On the 2nd page of the TVS Operating Instructions there is a paragraph that deals with…” What Criminal Record information does Your State provide?” It gives you a link that takes you to information provided by Lexis Nexis which allows you to determine what kind of information you are getting from what State/County. There are many other circumstances that we have run across and we have been given numerous reasons from Lexis Nexis as to why the information wasn’t there when perhaps it should have been. Bottom line here is that each landlord must conduct other due diligences aside from the the credit/criminal/eviction that TVS/ATS offers. Current and previous landlord should be contacted, employer should be contacted. Where this is done the risk of renting to a criminal are minimized. Ask the tenant…do you have a criminal record. 50% might answer truthfully, this further minimizes risk. TVS/ATS are here to assist you with your tenant screening process, there are other due diligences that landlords and property managers need to conduct. Here are some educational websites. As you have time review them, but please go there http://www.landlordfraud.com http://www.tenantsinfo.com http://www.criminalfraud.com click on landlord fraud. Each of these sites will have some tips and advice that will help you minimize risk of renting to high risk tenants. The other issue here with respect to criminal records not showing up, is that sometimes there were charges but no convictions, charges sometimes don’t show. There are other similar circumstances that have arisen for which Lexis Nexis has given explanations such as charges but no convictions, wrong date of birth entered, wrong first name provided etc. There is no reason for TVS to be misleading as stated above. There is no magic wand or all encompassing service, that is available right now. In some instances information that we would like to have is not available. TVS Operating Instructions should be reviewed thoroughly. Other due diligence that includes contacting current/previous landlord and employer should be part of every landlord/property manager’s tenant screening process. I would like to see more discussion here with respect to this. If there is enough interest, TVS will provide a service that includes calling landlords and employers. Let’s here from some other folks. Richard if I didn’t get back to you I apologize, please contact me.